Cattle entries are up at this year’s UK Dairy Expo, due to be held at Borderway market. 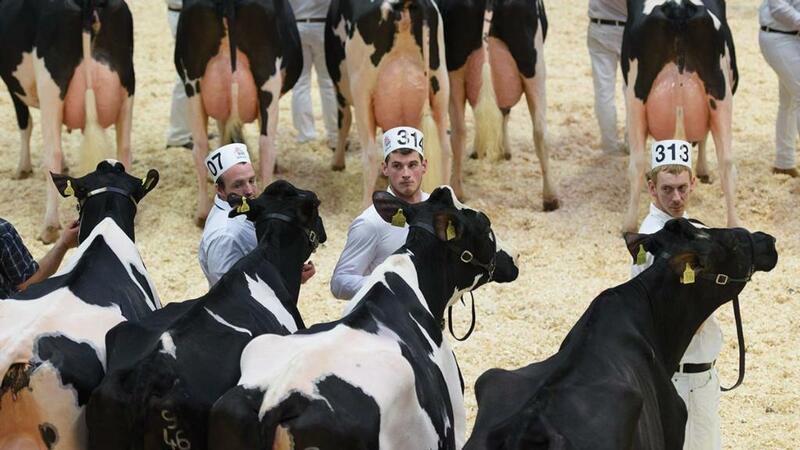 With a total prize fund of £15,000, this year’s UK Dairy Expo taking place on March 10, features 70 classes across the seven breeds – Holsteins, Jerseys, Ayrshires, Red and Whites, Brown Swiss, Dairy Shorthorns and British Friesians – which are holding their national shows at the event. The day culminates with the highly anticipated supreme championship judging. The showmanship youth championships and stockjudging classes are also a key element of the event as they are designed to encourage and inspire the next generation of dairy breeders. Competing for the top honours will be dozens of young breeders from across the UK and Europe. Once again there is an international flavour to the judging line-up, with Selwyn Donald, a fourth-generation dairy farmer from one of New Zealand’s oldest Ayrshire stud families, judging the Holstein, Ayrshire and Brown Swiss sections. Australia’s Dean Malcolm co-owner of Bluechip Genetics, will be judging the Dairy Shorthorn, Jersey, and Red and White classes. 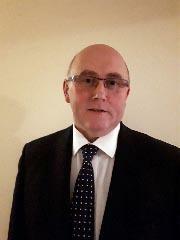 Representing the UK and judging the National British Friesian show is Alan Timbrell, who is national key account manager for Alta Genetics. And judging the showmanship classes is Ann Laird who played an integral role in the development of Blythbridge Holsteins. FG spoke to Alan Timbrell ahead of his judging assignment to find out more about his judging credentials and what he will be looking for in the showring. Q –What is your background in dairy farming? I was brought up on a family-run dairy farm and went home to work at 16 straight from school, joining my father and mother on the farm. We milked 110 cows, all Ayrshires, under the prefix of Millford until 1983 when two British Friesians were purchased from the Blakemore herd in Devon. This was the start of the Fordmill herd and it steadily grew with further purchases from Normead and Anandale. In 1989 I married Sue my wife and we still live at Glebe Farm which is 120 acre mixed grass and arable, and we now farm a small herd of Polled Herefords to utilise the grazing. In October 2002 I started working part-time for Alta Genetics as a commissioned sales person in Gloucestershire and in 2007 started full-time employment with them. Q – Can you explain more about your Ayrshire herd? Eight years ago we ceased milking at Glebe Farm and sold our cows to two well known farms in Leicestershire; the black and whites went to the Smith family at Bumblebee Holsteins, Sharnford; and the Ayrshires to Blaise and Deborah Tomlinson at Sandyford Ayrshire’s, Loughbourgh. We retained 25 cows from both breeds and these are milked by the Tomlinson family at Sandyford alongside our dairy youngstock. Q – How has the dairy genetics industry changed over the last 15 years? Over the last 15 years I have seen a lot of changes in the UK dairy genetic industry and I must say a lot of it for the better. The biggest advancement is the use of genomics and let me say at this time when it was first released I thought what a lot of hocus pocus this is, but over the last nine years you can take it from me it has been the biggest game changer in world genetics let alone UK genetics.